Amazing Wordpress Design : Call 0776 260 360 now! WordPress is a Content Management System (CMS) that currently powers about 32% of the entire internet applications across the world. It’s user-friendliness and being an open source software makes it the most popular CMS. It is frequently updated and is enhanced by a community of devoted developers makes WordPress very robust a secure. WordPress is a perfect choice for any company after an easy management and internet publishing tool. We have 9 years in the website design and development business both in the United Kingdom and Zimbabwe, making speMEDIA a time-tested expert to build your WordPress website. WordPress has over 1.6 billion customisations available on its platform, making it easy to understand why a lot of people and businesses trust it more than any other CMS on the internet. Let us help you get the right WordPress customisations and create a functional website to get you the right clients! 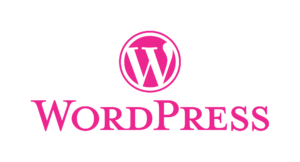 WordPress, an open and flexible platform can meet your website design needs. It is used by 30 percent of online magazine, newspapers and some of the biggest websites and blogs on the entire internet. An active community of developers works tirelessly to bring in new features and functionality to the WordPress ecosystem and this makes it the most valuable and popular internet Content Management System (CMS). Can you help me with getting a website on a WordPress design in Zimbabwe? Yes, we can design your WordPress design today! Why not give us a call on +263 776 260 360 or email us to discuss your WordPress design project whether you are in Harare or anywhere in Zimbabwe. Get a free no obligation estimate or contact us to discuss your exact requirements. We appreciate that your business is unique in its own right. Therefore, we will develop a personalised WordPress design plan and approach for you. Kindly fill the form below and we will reply you urgently with a custom pricing quotation. We are open from Monday to Friday 8 am to 5 pm.